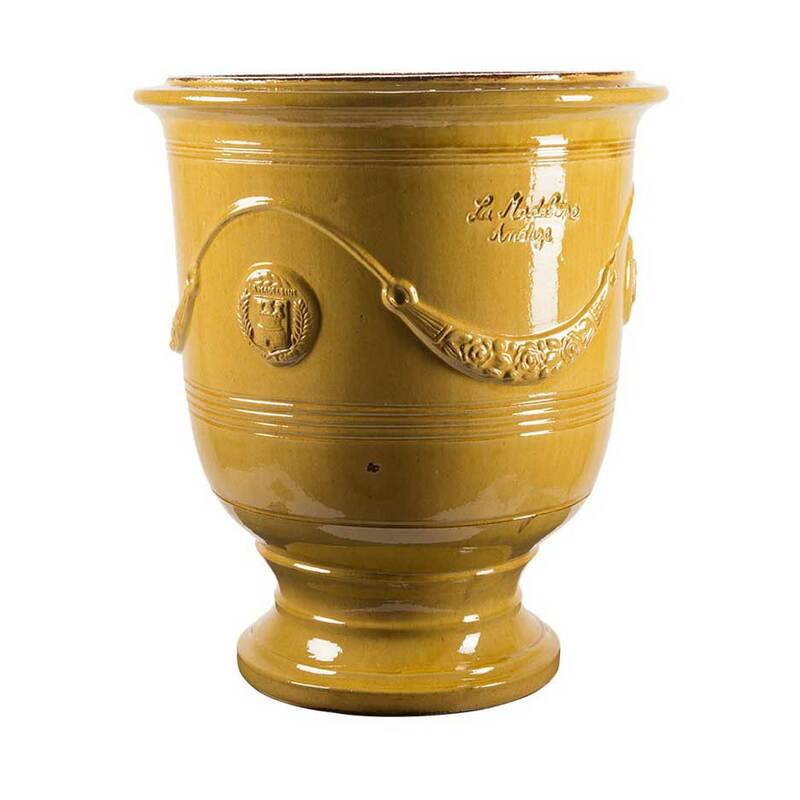 The Vase Anduze Flamme Vielli is handcrafted with French terracotta in Anduze, France. 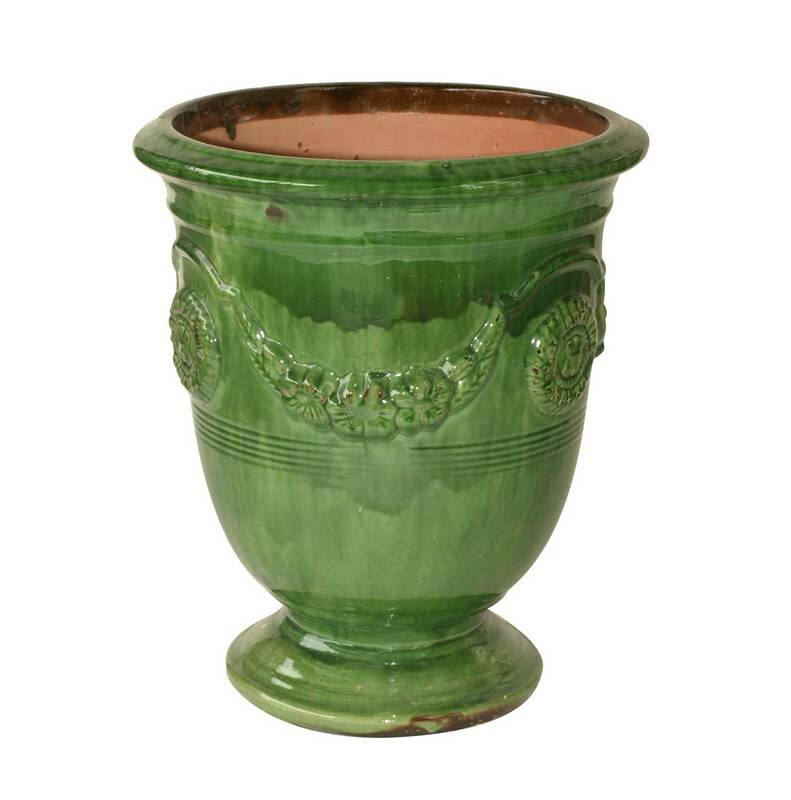 This French terracotta pot incorporates the colors of honey, brown, and green. 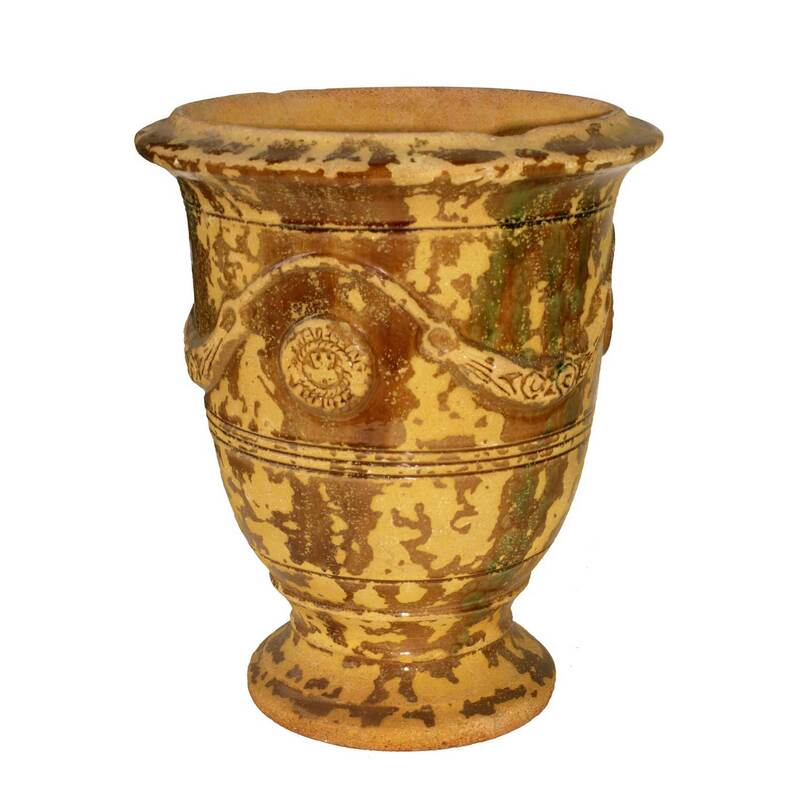 Each clay pot is stunning and a hallmark of French garden design.